Kenya’s electronic single window system has helped importers and exporters save Sh2.5 billion since it was launched in 2014. 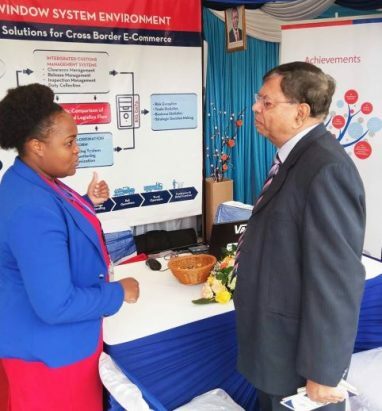 Amos Wangora, chief executive Kenya Trade Network Agency (KenTrade), which operates the system, said automation brought about by the new system had reduced traders’ costs associated with transport, time, administration and telecommunication. The Kenya TradeNet System, he said, had also improved connectivity, security, process and procedures with the average number of process steps involved in processing clients’ applications reducing by almost half.Wangora spoke in Nairobi on Tuesday during the signing of a partnership deal with the Global Alliance for Trade Facilitation (GIZ) to boost Kenya’s capacity for risk management of import, export and transit cargo across Kenyan trade borders. “We have customised the Kenya TradeNet System Risk Management Module to 10 government agencies who due to their various mandates have unique and varied requirements,” said Wangora.Some of these agencies include the Kenya Bureau of Standards, Pest Control Products Board, Agriculture and Food Authority-Sugar Directorate, National Environment Management Authority, among others. Copyright © 2018. KenTrade made with love at KWE Digital LTD | All rights reserved.